For the past two weeks, hockey fans have been treated to eight thrill-packed first-round playoff series’. Four of them went to seven games, and another two went six. Fourteen games were decided in overtime, two of them in Game 7. Of 49 matches overall, 25 were decided by a single goal. Home ice advantage? Non-existent. Road teams edged out home teams 26-23. Throughout North America, fans are renewing their blood pressure prescriptions. Publicly proclaiming one’s playoff predictions can be a very humbling experience. Two weeks ago, this column published my prognostications for Round 1, and I hang my head in shame having gone a mere 3-for-8. Simply picking the respective top seeds for each series would have at least garnered a respectable 6-for-8 result. Heck, even flipping a coin (which I just did) yielded the same 3-for-8 result without even bothering to analyze anything. Before shooting for redemption in Round 2, let’s take a quick look back at the fantastic series’ which finally wrapped up on Wednesday, April 27th. Prediction: Vancouver in 6 – Actual: Vancouver in 7. For the first three games of the series, it looked as if the 2011 President’s Trophy winners would make easy work of the 2010 Stanley Cup Champions. But in Game 4, in front of their hometown fans, Chicago erupted with seven goals, declaring their determination to not go down quietly. The Blackhawks followed up with a 5-0 Game 5 shellacking in Vancouver which chased elite goaltender Roberto Luongo in the 2nd period. Returning to Chicago for Game 6, the Blackhawks took the Canucks to overtime where rookie Ben Smith netted the overtime game-winner to force a deciding Game 7 in British Columbia. Vancouver’s Alex Burrows scored his 2nd goal of the post-season in the early minutes of the final match, a goal which would stand alone on the scoreboard until 18:04 of the 3rd period when Blackhawks Captain Jonathan Toews broke the drought with a short-hander to send the game and the series into overtime. If ever there was a time for one city’s fans to dream of destiny as another team’s fans feared epic collapse, this was it, especially when Alex Burrows got thrown into the sin bin just 24 seconds into the overtime period for holding Duncan Keith. But Luongo and the Canucks managed to kill the penalty and Burrows went on to become Vancouver’s hero when he scored his 2nd goal of the game and 3rd of the series at 5:22 of overtime, sending the Rogers Arena crowd into a frenzy reminiscent of Team Canada winning Olympic gold in 2010. Prediction: San Jose in 5 – Actual: San Jose in 6. With the Sharks firing on all cylinders and the Kings misfiring and sputtering due to the loss of All-Star Center Anze Kopitar, this wasn’t supposed to be much of a series. Someone forgot to tell that to the Kings. San Jose drew first blood in Game 1 just 28 seconds into the match on a goal by Dany Heatley. But the Kings bounced back with two goals in the 2nd to ultimately draw even with the Sharks, which had added another goal by Logan Couture. After a scoreless 3rd period, Joe Pavelski brought the Shark Tank fans to their feet with the overtime game-winner. Jonathan Quick stole the show in Game 2, turning away 34 shots while Drew Doughty scored twice for L.A. in a 4-0 shutout victory in San Jose. Game 3 began as a nightmare for the Sharks, as the Kings jumped out to a 4-0 lead at Staples Center. 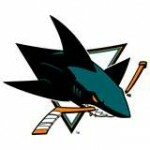 Desperate to shake things up, Coach Todd McLellan benched goaltender Antti Niemi in favor of back-up Antero Nittymaki, and the Sharks responded with five goals in the 2nd period to complete the period knotted up at 5-5. After a scoreless 3rd period, the two squads headed into overtime once again. This time the hero was Devin Setoguchi who stunned the Los Angeles crowd by completing one of the greatest comebacks in San Jose’s 20-year history. Game 4 was smoother sailing for the Sharks, which finally won what turned out to be their only regulation victory of the series by a score of 6-3. Back home in San Jose for Game 5, the Sharks continued their struggles against the shockingly resilient Kings, losing 3-1 as Jonathan Quick turned away an astonishing 51 of 52 shots on goal. With road teams having won four of the five games in the series, the Sharks knew they needed to finish the Kings off in L.A. if at all possible. San Jose’s Kyle Wellwood opened the scoring in the 2nd period and the two teams took turns scoring until once again the teams headed into overtime. This time it was Sharks Captain Joe Thornton lighting the lamp in sudden death to advance his team to Round 2. One senses, however, that the rivalry between these two California teams is only beginning. Prediction: Phoenix in 6 – Actual: Detroit in 4. Prior to the beginning of this series, I had written that it would “likely come to a showdown between the explosive Detroit offense and the superlative goaltending of Ilya Bryzgalov.” Well, the Red Wings offense showed up. Bryzgalov however, has been declared missing. Bryzgalov’s sullen mugshot can be found on milk cartons everywhere in the Greater Phoenix area. If found, please hold onto it for awhile just in case it needs to be forwarded to Winnipeg. Prediction: Anaheim in 7 – Actual: Nashville in 6. Initially this series was expected to be a battle between the NHL’s top scoring line of Anaheim’s Bobby Ryan, Corey Perry, and Ryan Getzlaf, against the stingy goaltending of Nashville’s Pekka Rinne. And for the first two games that was true, with Rinne stealing Game 1 in Anaheim and the RPG Line getting even in Game 2. The turning point in the series may well have been near the end of Game 2 when Bobby Ryan jostled with the Predators’ Jonathon Blum for a puck behind the Ducks’ net, and Ryan stepped on Blum with his skate blade. No penalty was called at the time, but the league held a hearing and subsequently suspended Ryan for Games 3 & 4. Perry and Getzlaf were held without a goal while losing the first of the two games in Nashville, but rebounded with 2 goals and 3 assists in the latter, returning the series to Anaheim with a split. Ryan was full of energy in his Game 5 return, and scored what ESPN.com called “the goal of the playoffs” with some slick moves which left Predators defenseman David Legwand completely undressed in front of 17,385 screaming fans in Anaheim. In case you have yet to see it, or would like to see it again, click here. The Ducks were on the verge of winning the game and taking their first series lead with 36 seconds left in the 3rd period when Nashville Captain and Norris Trophy Finalist Shea Weber sucked the life out of the arena with a tying goal, sending the match into overtime where Jerred Smithson completed the comeback which placed the Predators one victory away from winning their first ever post-season series. One of the biggest stories of Round 1 was the ageless Finnish Flash, Teemu Selanne, who has flirted with retirement for each of the past several off-seasons. Selanne finished the regular seasson with 31 goals and 49 assists in 73 games, ranking him eighth in the league in scoring as he continued to chip away at virtually every NHL career offensive statistic. Against Nashville, Teemu racked up a playoff-leading six goals, including the opening salvo in Game 6, as he sought to inspire his teammates to stave off what might be his final NHL contest. The Predators weren’t much for sentiment, however, clinching the series with a 4-2 victory and earning a date with Vancouver. Prediction: New York in 6 – Actual: Washington in 5. The Rangers may have won the regular season series between the two teams, but the number one seed in the Eastern Conference didn’t have any difficulty amping up for the post-season, dispatching New York in five games. Alex Ovechkin tallied three goals in the brief, low-scoring series. Prediction: Buffalo in 6 – Actual: Philadelphia in 7. Down three games to two and with their backs against a wall, the Philadelphia Flyers whipped out their secret weapon, defenseman Chris Pronger, who had missed the previous 21 games with a broken hand. Pronger didn’t end up factoring in the game, but the Flyers dug deep to pull out an overtime victory in Buffalo to force a Game 7 back in Philly. On home turf, the Flyers lit up Sabres netminder Ryan Miller for four goals before he was lifted in an exercise in futility. Danny Briere scored his sixth playoff goal during the contest, tying him with Selanne atop the post-season goal scoring leader board. Prediction: Boston in 5 – Actual: Boston in 7. As nail-biters go, the Bruins and Canadiens did their part to keep the manicurists of Boston and Montreal quite busy. For the second time in two days, a Canadian team found itself playing in overtime of a Game 7. To the dismay of Habs fans, Montreal was unable to duplicate the success of Vancouver. The Bruins’ Nathan Horton scored his second overtime goal in a week to lead Boston to a Round 2 date with the Flyers. Horton netted his other one in a double-overtime victory in Game 5. Prediction: Pittsburgh in 7 – Actual: Tampa Bay in 7. The absences of Sidney Crosby and Evgeni Malkin were bound to haunt the Penguins at some point during the post-season. With a 3-1 series lead, it didn’t look like it was going to happen in the opening round. But in Game 5, the Tampa Bay Lightning stormed into Pittsburgh with an 8-goal downpour, and then continued to keep hope alive in Florida with a 4-2 victory in Game 6. Returning to Pittsburgh for Game 7, the Lightning’s Sean Bergenheim put Tampa Bay on the scoreboard in the 2nd period for what turned out to be the only goal of the game. 41-year-old goaltender Dwayne Roloson stopped all 36 shots in his first post-season shutout of the year. Penguins fans will have a long summer to wonder if a healthy Crosby and/or Malkin could have made that one goal difference. Turning the page and hoping for better prognostication skills than my quarter, let’s take a quick look at Round 2. Vancouver barely survived a seven-game gauntlet at the hands of the 8th seed Chicago Blackhawks while Nashville played six solid games in their opening round victory against the Anaheim Ducks. Roberto Luongo became a question mark in goal for the Canucks, while Pekka Rinne showed flashes of vulnerability in the crease as well. The Sedin twins have fallen short of dominance thus far in the post-season, while Nashville’s cast of blue-collar grinders has held their own against the league’s top line. The two teams split their four regular season match-ups. No one has a healthier respect for the Detroit Red Wings than Sharks Head Coach Todd McLellan. Following a hard fought six-game series with the Los Angeles Kings, McLellan knows that his squad will need to step things up to a much higher level if they are to advance to the Conference Finals. Winning three of four regular season games from the Red Wings goes out the window against such an experienced playoff team. Detroit made quick work of the Phoenix Coyotes and have been resting since April 20. Will the Red Wings come out flat on account of too much rest? Will the Sharks’ intensity carry over from the Kings series? Whatever happens, this may be the marquee match-up of Round 2. The Capitals owned the Lightning during the regular season, winning 4 of 6 while earning 9 of a possible 12 points. The Caps had little trouble with the New York Rangers in the opening round, while Tampa Bay won three straight to eliminate the Pittsburgh Penguins in seven games. It is unlikely that lightning will strike twice this post-season. Look for this series to wrap up early. None of these teams got here the easy way. Neither of them is likely to advance to the Eastern Conference Finals the easy way either. During the regular season, Boston went 3-0-1 against Philly. It is unknown whether Chris Pronger can be a factor for the Flyers in Round 2. Goaltender Tim Thomas has enjoyed a great season with the Bruins, and certainly offers Boston an edge in goaltending.